When Zied Abbis and Amine Draoui decided to preserve their country’s artistic heritage, they weren’t expecting to see such business success. In 2015 Abbis realized “there are a lot of people interested in learning mosaic”. So in the August he launched Mosaikit, a kit with everything one needs to make small mosaic, including tesserae (tiles) of various colors made of natural stone and marble. In little over six months the entrepreneurs have sold over 800 kits in Tunisia. The five models they offer are mostly sold to primary schools and training centers in the country, but they have clients all around the world. Draoui grew up in Tunis and loved the city life. A geologist in training, he later volunteered at biological, ecological, and educational farms in Europe. Having inherited lands in Tunisia he had always considered moving back and building a farm of his own, maybe 20 years down the road. Then the revolution happened and, like many, he chose to stay in his home country to see what would come of it. “Weeks became months, months became years, and five years later, I’m still there,” he laughed. Draoui then opened Eco Mornag Farm, an ecological farm that educates its visitors. The property, located 20 minutes south of Tunis, doesn’t harvest product, but instead shares traditional know-how with visitors. 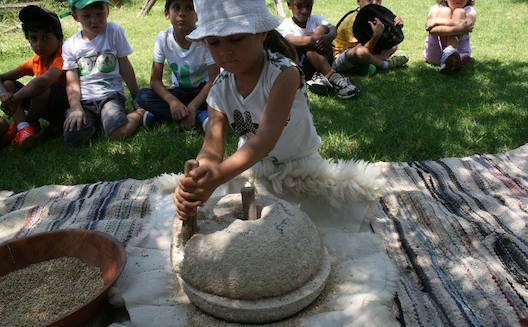 In 2015 3,000 people came to explore some of Tunisia’s old agricultural techniques that they had on display. The farm gained such popularity that Draoui had to stop replying to the hundreds of emails and calls he received every day. However, even when people couldn’t book they would still show up unannounced. Abbis wasn’t planning to preserve Tunisian traditions either. An engineer, he emigrated to France and became a jack-of-all-trades, working in marketing, logistics, and banking. 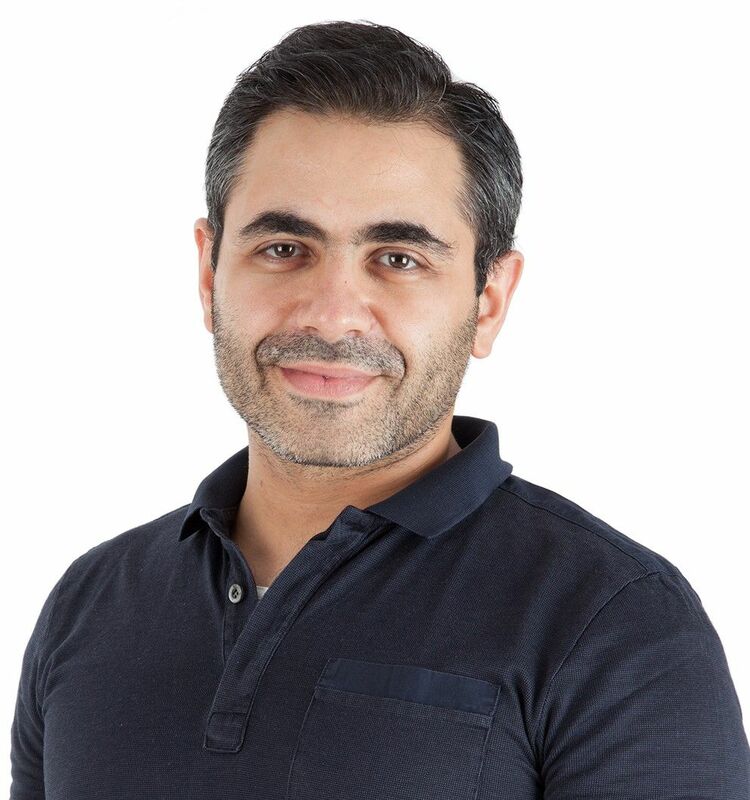 In 2012, while he was on holiday in Tunisia, after chatting with his mosaic artist sister, he came up with an idea: a platform to connect mosaic artists and clients. 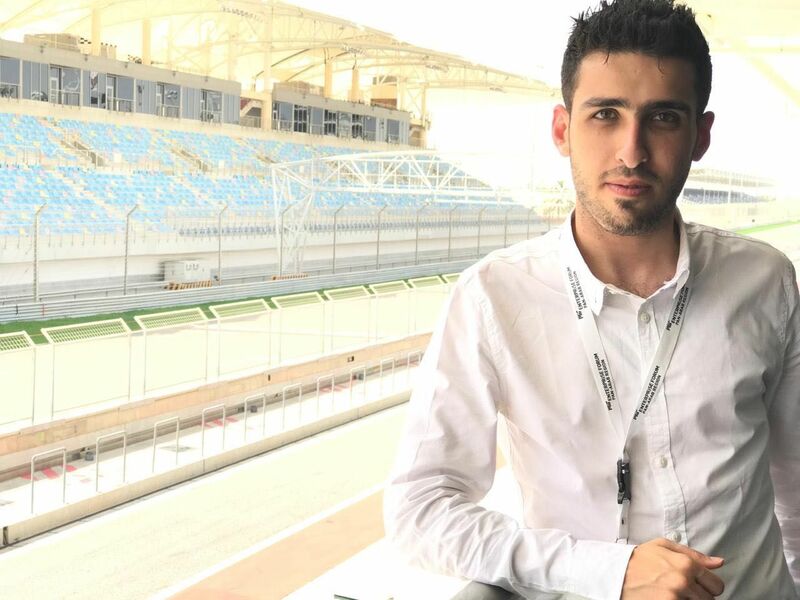 In 2014, after winning a few competitions, he returned to Tunisia permanently and started Neptune Mosaic with his sister. Now these two entrepreneurs have only one motivation: to help preserve Tunisian heritage for future generations. Tunisia is a leader when it comes to mosaics. According to Abbis, the country has the best artisans in the world and an ideal diversity of stones. Unfortunately, mosaics are a high-end product and artisans have trouble selling to clients. “There are many artisans in mosaics who changed fields. They became masons or something else,” explained Abbis. “If we have a generation cut, [halting] knowledge transmission from one generation to another, like it is now, we’ll lose this knowhow,” he lamented. With Neptune Mosaic, Abbis puts a spotlight on Tunisian artisans and helps the industry to survive. He takes pictures of the work, and sends them orders, mostly from the US and Japan. 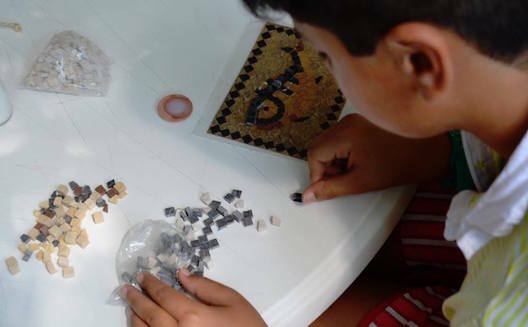 With his new mosaic kit, Abbis goes beyond giving work to mosaic artists and passes knowledge to the general public. When talking to Wamda Draoui was showing a visiting group how to produce olive oil using an ancient method. 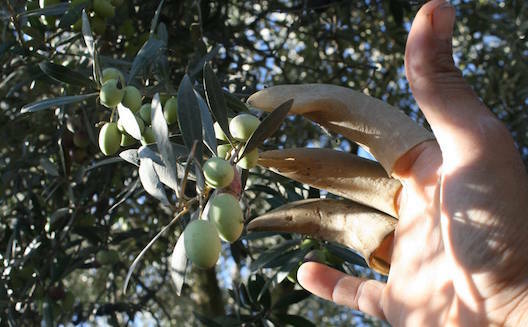 They even used goat horns to pick up the olives. “Some older people still use [these techniques] and pass on their knowledge,” he explained. This farm “is a living museum, I wanted to share that and transfer it,” he continued. In 20 to 30 years, Draoui believes, Tunisia will have severe problems with water shortages, food scarcity, and low energy supply. According to him, fighting against dependence on international products requires betting on natural solutions. “A tractor is a thousand times more efficient than a donkey. Technology can save, but misused and misunderstood technology can have a negative impact,” he continued. This is why he wants to promote more traditional techniques. The entrepreneur also gives visibility to artisans by showcasing their work in his boutique. For Draoui, who’s never done any marketing or communication for his farm, the project’s success comes from a need of hope, a desire for change. “In Tunisia, there is a general despair. We show that it’s possible [to launch a company] even in these difficult conditions, even without money. We started with a 1,000 euros, we simply let time, drive, and passion work,” he explained. Visitors can sleep (in rooms, domes and tents), and eat at the farm, but the core activity is the workshops. For 5 Tunisian dinars (USD $2.50), visitors enjoy a one-hour interactive lesson. If hands are not dirty at the end of the visit, there’s a problem, jokes the entrepreneur. Eco Mornag Farm’s biggest clients are visiting friend groups and schools, but also companies and collectivities looking to do some team-building. The farm also attracts individuals, mostly young people looking for a change of pace. Draoui wants the farm to remain small. “We’re looking for quality rather than quantity,” he explains. He will spend this year finishing the construction work with his team, and offering his advice to two other nearby farms. He’s hoping to create a network of educational farms in Tunisia. Today, the entrepreneur focus 90 percent of his attention on the kit as it sells much faster than the traditional mosaics. This year, he will begin tackling the European market. The day following our interview, he was heading to a handcrafts fair in France. “It’s working really well and it gives jobs to many artisans,” he said with enthusiasm.